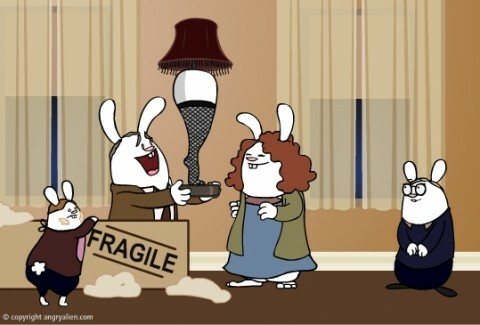 “A Christmas Story” in 30 seconds. Click the image to watch. Merriest of Christmases to you and your family. .-= A post from Year on the Grill’s blog …Ribs 101.6 – Class, YORKSHIRE PUDDING is the foodie Christmas Miracle =-. I hoped you had a very marry christmas as well. …and may your New Year be filled with happiness and success! Damn…..I shot my eye out. .-= A post from Chris’s blog …Carolina Burger =-. Perfect, Chris! Nice website ya got there, too.